The brace scored by the former West Brom and Stoke City striker took Odemwingie's tally to eleven goals in eleven matches as his team, Madura United, smiled away with a 3-1 win against Persib. Nigerian striker, Osaze Odemwingie, is now the top scorer in the Indonesian Liga after he scored two goals over the weekend. Brazilian striker, Reinaldo Costa with eight goals is the second on the top scorers' sheet behind Odemwingie while Dutch attacker Sylvano Comvalius with seven goals is third. 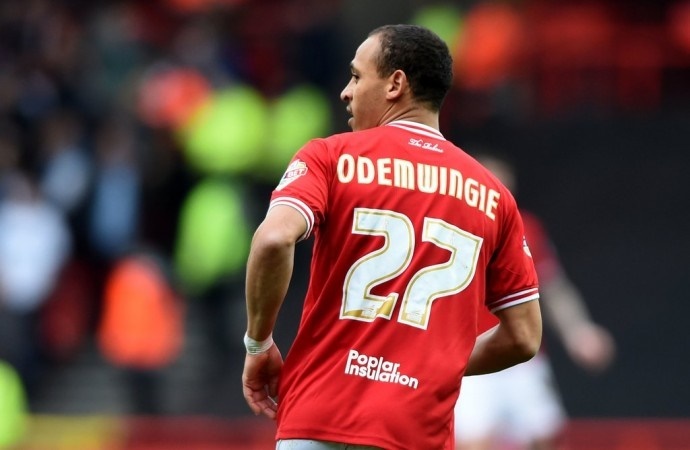 Odemwingie is understandably happy with his performances and the support from Madura United supporters. Good 3-1 win for @MaduraUnitedFC today against @persib. Happy to add another two ????. Great support from our fans again ?????????? Odemwingie's Madura United are now second in the table with 25 points, a point behind league leaders Persatuan Sepakbola Makassar (PSM).